Plastic gloves and face masks lay scattered in the rubble of a Syrian research lab destroyed by Western strikes on Saturday, where an official denied the centre was developing chemical weapons. US, British and French strikes slammed into a series of targets around Damascus that the Western countries said were linked to the Syrian government's chemical weapons programme. One multi-storey complex, in the capital's northern district of Barzeh, had been completely reduced to rubble, AFP's correspondents saw during a government-sponsored tour on Saturday. Its roof had been punched down and several walls appeared on the verge of collapse. Even hours after the strikes wrapped up, plumes of smoke wafted lazily up from the building and a burning smell still hung in the air. "The building had three storeys: a basement, ground floor, and second floor," said Said Said, an engineer who identified himself as head of the centre's paint and plastics department. "It had labs and departments that were unfortunately completely destroyed, with all their equipment and furniture. Thank God, no one was here," he told AFP. 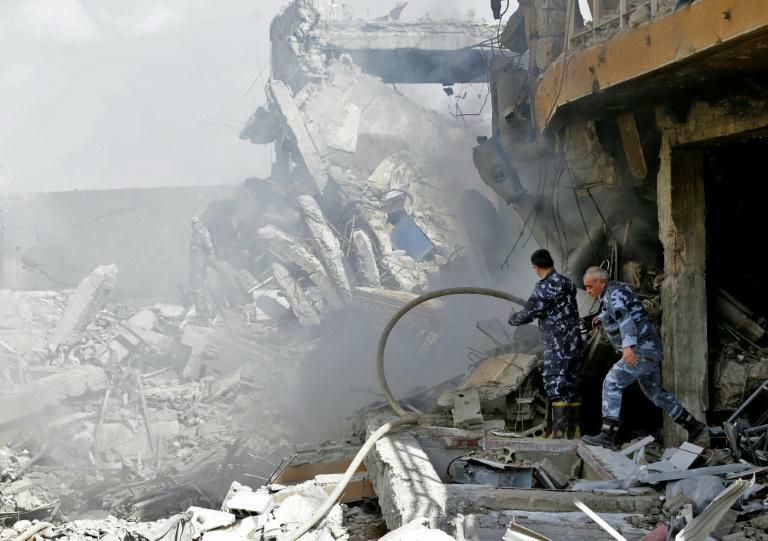 The bombardment, including both cruise missiles and air-to-surface strikes, hit Syria around 4:00 am on Saturday (0100 GMT), jolting people awake in the capital's nearby residential neighbourhoods. Syrian state news agency SANA reported several missiles hit a research centre in Barzeh, "destroying a building that included scientific labs and a training centre". 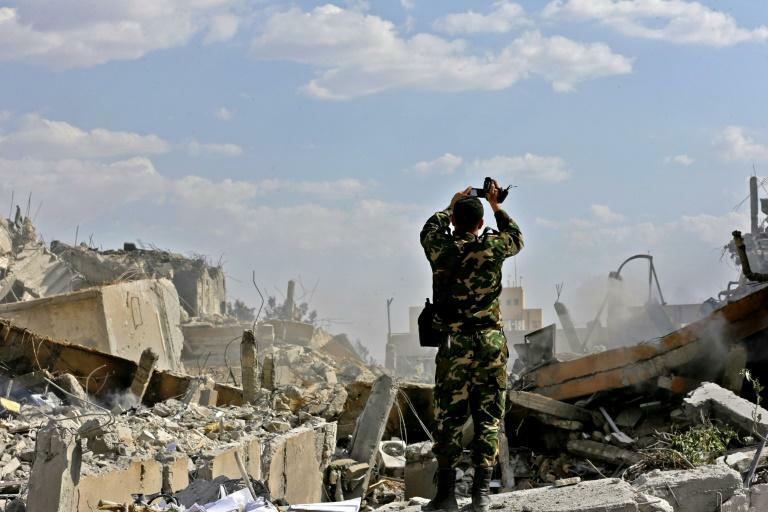 The site, according to Western powers, was part of the Syrian government's "chemical weapons infrastructure." But Said told AFP only non-lethal research and development was under way at the centre. "As we work in civilian pharmaceutical and chemical research, we did not expect that we would be hit," he said. Instead, the centre had been producing antidotes to scorpion and snake venom while running tests on chemical products used in making food, medicine and children's toys, according to Said. Saturday's strikes came in retaliation for an alleged chemical attack on a rebel-held town east of Damascus one week ago, which medics say killed more than 40 people. Inspectors from the world's chemical watchdog were set to enter the town of Douma on Saturday to investigate the claims.